WordPress is one of the main forces in today’s Content Management System (CMS) landscape. Created in 2001 and originally named b2/cafelog, it now powers roughly 25% of the web. 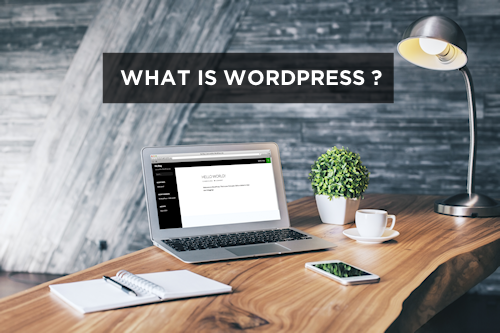 In order to understand exactly what WordPress is and how it helps, let’s look at how websites were created when WordPress had its early beginnings. We’ll also investigate just how WordPress changed how sites are created in ways that are taken for granted today. Creating a website in 2001 was like building a house out of raw materials. Writers would begin by opening a new page in an HTML editor, then would paste in the site’s header and footer. If the page was in a subdirectory on the site, they’d create the necessary structure and set up the web server accordingly. Likewise, designers would access the site via the primitive FTP protocol. Building a website felt less like writing content, and more like structuring files on a remote computer. If webmasters wanted help managing the site, they’d give others access to the directory on the web server. Permission to change content was managed through the operating system’s underlying, confusing permissions mechanism. By replacing structuring files with managing content, WordPress revolutionized how websites were created. If a writer wanted to create a new post or page, they need only visit their administrative interface and start writing. Instead of following a filesystem layout, content could be organized in ways that fit the current workflow. Likewise, WordPress segments site collaborators into more meaningful groups. Writers create and publish content, but lack the ability to make technical changes to WordPress’ underlying configuration. Editors can curate content, make minor changes or unpublish posts. Developers might install new plugins and change themes. WordPress empowers content creators by helping them reason about the site they’re creating, and by limiting their actions to those within their area of responsibility. Content is only one aspect of what makes a good site. Layout is also critical to engaging visitors. Placing an article front and center on a page is useless if attention is drawn into adjacent columns that distract from the message. Similarly, calls to action and other important elements must periodically be added and changed based on business requirements and other factors. Before WordPress and other CMS gained prominence, themes and site designs were difficult to separate from content. Pages were created by opening templates, adding content, and rarely changing how the site looked. If site designers wanted to change a page’s header, add a new column or update a copyright date, they’d do so by individually editing each page they’d ever created. WordPress separates the theme, which determines how the site looks, from the site’s content itself. It also separates the site’s general appearance from the building blocks that compose it. As such, it is possible to completely redesign a site with minimal impact on its pages and posts. Separating content from design has drastically simplified web-based publishing. A rich ecosystem of WordPress professionals has arisen, and the aspiring blogger or business owner can select from any one of thousands of themes for any modern site. Likewise, themes can be created entirely from scratch. If someone can imagine a website, it can be designed and published on WordPress. While WordPress brought compelling changes to how websites were created, it would not have lasted for longer than a decade without the ability to expand. Plugins empower WordPress to gain new capabilities, enhance existing features, and even to experiment with entirely new ways of managing web content. The web of 2001 was significantly different than today’s social networks, blogs, sharing models and promotional strategies. Thanks to plugins, WordPress keeps up without losing its stride. WordPress sites can integrate with Twitter for promotion and metrics, store comments on Disqus, and tie into analytics services for rich feedback on website visitors. WordPress plugins also enable it to serve uses more sophisticated than publishing posts to websites. BuddyPress transforms it into a full social network with activity streams, profiles, user groups and messaging. Likewise, bbPress enables its use as a forum. Creators of membership sites with subscription content would be well served by the Membership 2 plugin. Thousands of available plugins make WordPress one of the best choices for just about any modern website. After fifteen years, one might think that WordPress has solved all of the problems it launched to fix. This couldn’t be further from the truth. In late 2015, WordPress announced its new administrative interface called Calypso. The goal was to breathe new excitement into WordPress by addressing many of the issues faced by users of the platform. For instance, many WordPress users manage large numbers of distinct sites. Calypso supports multiple WordPress instances right out of the box. 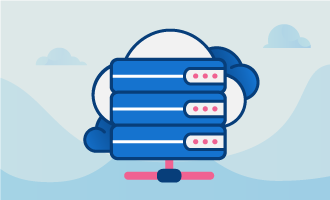 With access to Calypso, WordPress content creators and designers can manage all of their sites from a single place. Calypso is also built for speed. Much of the WordPress architecture was designed when the web was more transactional, and changes were served up after submitting a form or clicking Refresh. In contrast, Calypso uses WordPress’ APIs more directly, providing faster access to WordPress internals. Today’s web is ubiquitous, and content creators must be empowered to create and update using everything from the phone to the desktop. Calypso employs modern responsive web design techniques, transforming WordPress’ venerable administrative interface into one that can keep up with the rapidly changing modern web. Over the past decade, WordPress changed how websites are created and designed. These advancements ushered in an entire ecosystem of professional designers and developers who, thanks to its extensibility, have helped WordPress to grow alongside the web. Today, its boundaries are still being pushed in ways that keep it relevant and competitive. Anyone wishing to build a compelling, rich website would do well to consider what WordPress has to offer.